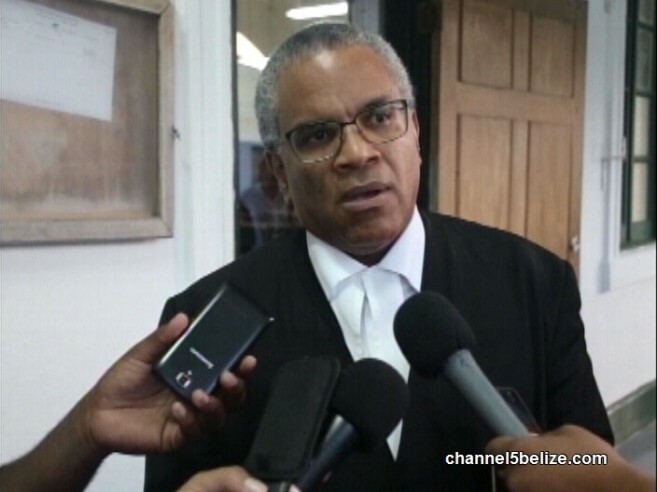 The legal petition regarding the legitimacy of the March 7th Municipal Elections in San Pedro Town was heard on Monday, May 14th by Chief Justice Kenneth Benjamin at the Supreme Court. 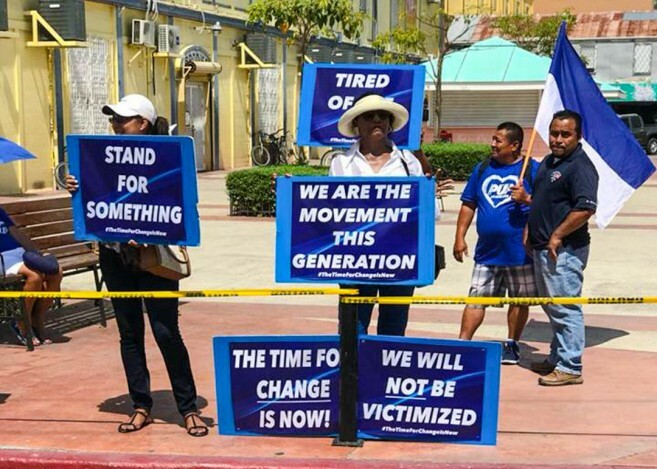 The legal challenge between the San Pedro People’s United Party (PUP) and the San Pedro United Democratic Party (UDP) calls for new elections on the island, after PUP Mayoral Candidate Andre Perez and his team contested the past elections process, claiming that there is a discrepancy in the results. As the court session proceeded inside the court, PUP supporters gathered outside in a small peaceful protest. In the March elections, current UDP Mayor Daniel Guerrero received 2,667 votes while Perez garnered 2,629, giving Guerrero the victory by a slim margin of 38 votes. However, soon after, the results were contested, alleging multiple irregularities in the counting and reconciling of the ballots. The PUP noted that over 200 ballots were unaccounted for. 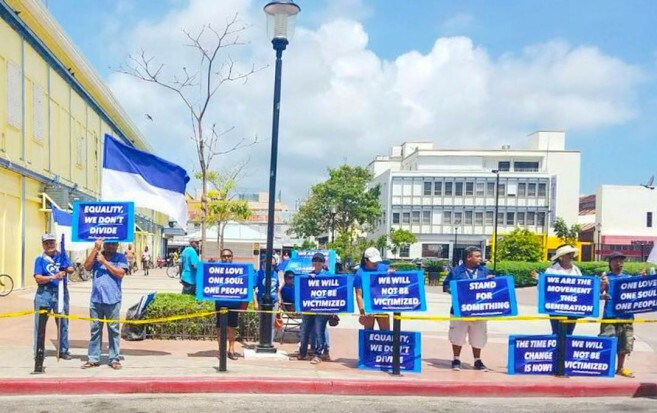 The San Pedro UDP refuted the allegations and Perez and his team sought legal advice, and the petition for a case at the Supreme Court was filed for the first time in the history of Belizean politics. A group of PUP supporters travelled to witness the hearing hoping for the verdict to turn in their Party’s favour. 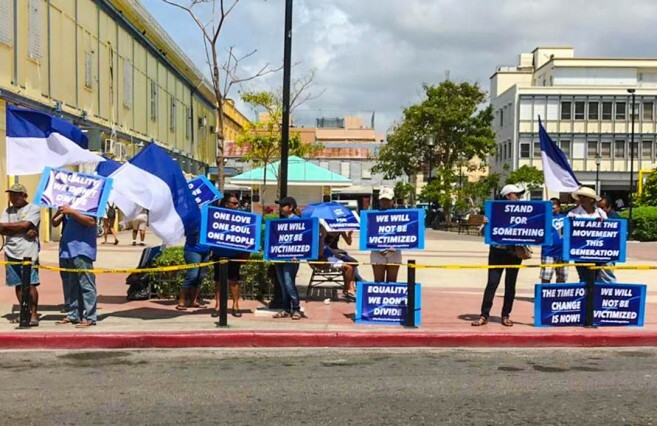 They all believe that there were discrepancies in the electoral process and demand a new election for the island, claiming that there is enough evidence for a decision to benefit their side. After the end of the court sessions on Monday, PUP Senator and Attorney-at-law Eamon Courtenay, representing the PUP stated that returning officer Catherine Cumberbatch, along with Chief Elections Officer Josephine Tamai and Presiding Officer Desiree Flowers, admitted that errors were made during the reconciliation of ballots. Courtenay states that Flowers said that she wrote down 379 as the number of ballots used instead of 359, an error not witnessed by PUP scrutinee Alex Noralez before he signed off on the document. Flowers could not explain the reason of the mistake. ”This case is not about mathematics, it’s about the politics and the votes,” said Courtenay. Another argument was the claim that Tamai kept the ballots in her office. “They should be in a secure place, whatever she finds to be a secure place,” Courtenay said. “The issue is that they are not to be opened- she opened them, and counted them and did other things with them and that is absolutely prohibited by the regulations,” Courtenay added that they will be making submissions to the Chief Justice regarding the irregularities that have been identified and are not compliant with the law. At the centre of discussion were the ballots from the box labeled C-A, which was considered the most important piece of evidence for the case. According to Courtenay, 675 electors cast their vote in that box, and when it was time to reconcile the officers wrote 400 on the form. “The question was, where were the additional 275 ballots?” asked Courtenay. He indicated that after they realized there had been a mistake, they struck out the numbers and added 275, changing around the numbers to reflect the 675 ballots that were made available. Courtenay also noted that the case is going very well for the PUP, all because of certain important admissions and clarifications delivered by witnesses. UDP’s attorney Estevan Perrera, however, contradicts the comment that the case is going in favour of the PUP. Perrera believes that the information presented at the court had more admissions in support of the UDP. The case was adjourned to 10AM on Monday, May 28th.